We had a busy week here at GTPD! On Monday. we reminded everyone of the dangers of leaving your Car Idling. This is very attractive to thieves and joy riders and you may be violating the NJ Idling law. 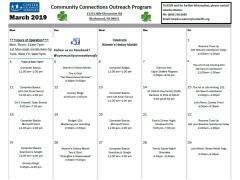 On Tuesday, we sent out the calendar for the Center For Family Services Programs at the Gloucester Township Police Family Resource Center. We have also attached the calendar to this post for you to view. 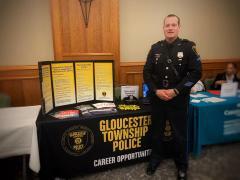 On Wednesday, Cpl Adam McKillop attended the Rutgerd University Non-profit, Government, and healthcare Fair. On Thursday, we advised our residents that throughout the year the Gloucester Township Police Department sought and received enhanced funding sources totaling nearly $190,000 that have enabled us to further connect with the community, protect our officers, reduce crime, and make our neighborhoods even safer. We also highlighted Sergeant Anthony Massi for our Throw Back Thursday. Sergeant Anthony Massi who began his career with the Gloucester Township Police Department in 2007 as Class 1 Special Officer. In July of 2018 Sgt. Massi was promoted to Sergeant of Police and is currently assigned as the Deputy Platoon Commander of the 1st Platoon. Thursday ended with Citizens Police Academy. 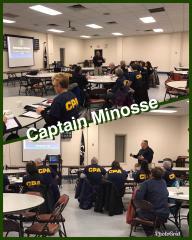 Captain Anthony Minosse taught our Citizens Police Academy class all about the Operations Division. The Operations Division is the largest division in the police department and is a crucial part of how our department works. Lt. Jason Gittens discussed the operation of the detective division and the different units within the division. On Friday, we highlighted the female officers within the department celebrating the enormous strides that women have been making throughout history and now. Women have been the backbone of many amazing things and some without recognition. On Saturday we attended the Camden County Veterans Prayer breakfast at the Chews Methodist Church. We were able to show our appreciation for all of our local veterans. And later in the day reminded our residents to turn their clocks forward and change the batteries in the smoke detectors. We finished up the week on Sunday by Congratulating our K-9 officers Ptl. Centrone and Franz and K’9s Zeus and Zeke for graduating from the Atlantic County K-9 Academy on March 8th.